Yamba's museum display has often been described by visitors as the finest small historical collection on Australia's east coast. Sited close to the towns centre on a sealed road which leads to one of the area's most beautiful Pacific Ocean beaches, the museum is located in spacious grounds with ample off-street parking. Directly opposite in a well-maintained park is a fully restored 150 year flagstaff, which once controlled the entry and exit of all ships into the nearby Clarence River, the biggest single waterway on the East Coast. The flagstaff surrounds are the focal point fro many local celebrations throughout each year, especially for Australia Day. With easy wheelchair access and internal toilet facilities, the museum is noted for its extensive collection of well over 2,000 photographs on display extending back to Yamba's early beginnings. Each picture is fully captioned and sections are broken into significant timelines in the town and the region's history, beginning in the early 1800's. The museum's principal focus is on its strong maritime background, stemming back to the first known visit by a European sailor, Lt Mathew Flinders, who charted the coast from Sydney to Moreton Bay in Queensland in 1799. Pride of place has been of Yamba's first harbourmaster in 1854. Many books, manuscripts, artefacts, examples of fashions of yesteryear, drawing of major projects such as the sea wall which protects the Clarence River entrance, service uniforms, portrait of a town slowly developing into one of today's key seaports, fishing centres and holiday destinations in Northern New South Wales. The Museum and the Historical Society are strongly supported by the local community, retail stores, the chamber of commerce, business houses, sporting and service clubs and the MacLean Shire Council. 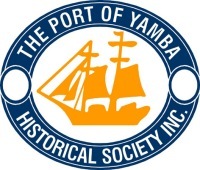 The majority of its financial members, provide all their services on an honorary basis and take pride in the museum's important role in Yamba's daily life.